A holy month for the Muslims, Ramzan is a time for prayer, reflection and self-control. During the 30 days of this month, the Muslims observe a fast from dawn to dusk. This fast is considered as one of the five pillars of Islamic faith, because it helps people overcome temptation and impulse, helps them understand the problems of the less fortunate, and takes them closer to God. In the month of Ramzan, Muslims have a pre-dawn meal called Sehri. This is sometime around 4:00 a.m. in the morning, but the time differs from region to region depending on sunrise and sunset timings. Iftar is the meal that completes the fast after the sun sets. Some people like to have heavy meals during Ramzan, while others like to keep it light throughout the month. If you are at a loss of what to cook for Iftar, this section will provide you with lots of choices. These vegetarian options will be a welcome change from the traditional non-veg recipes that are usually cooked. While prayers strengthen your soul, these soulful dishes will reinforce your body. From desserts and snacks to drinks, we have them all. Try the recipe of Malpuas if you feel like having something sweet or go for a yummy Veg Seekh Kebab if you want to have something savoury. If you are a chaat lover, we have irresistible recipes like the Ragda and Chana Chaat for you. 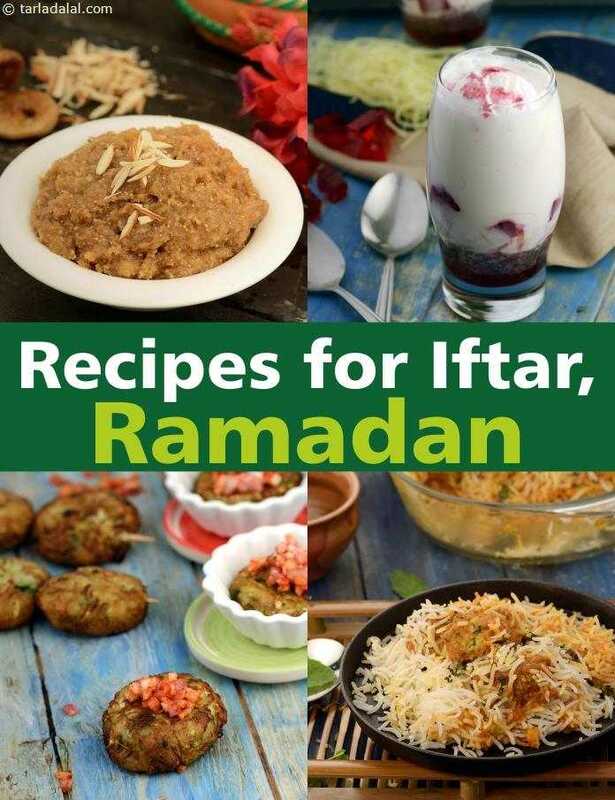 Explore the many recipes in this section to surprise your family with a delightful Iftar.